The Albury Conservation Company (ACC) has a keen interest in local biodiversity research to build community understanding particularly of our threatened wildlife species. 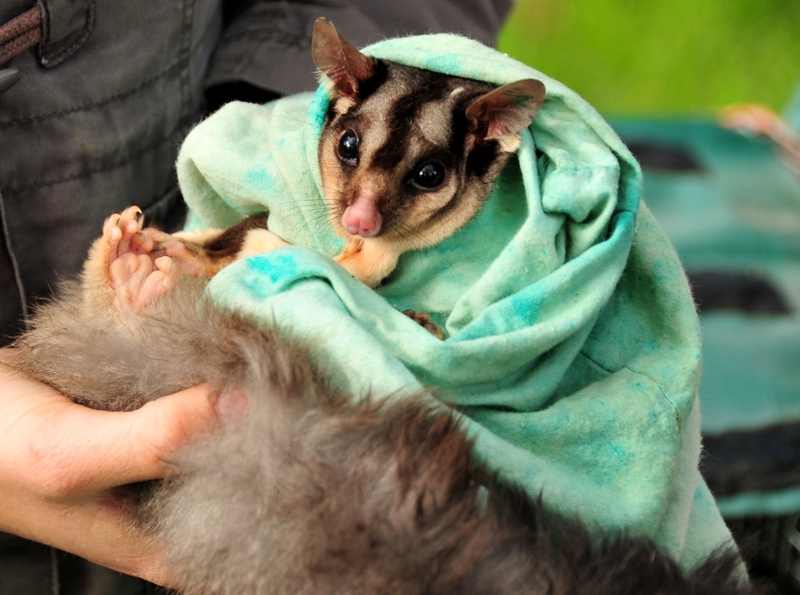 The ACC have invested in research of two significant local threatened species, the Squirrel Glider and Sloane’s Froglet. cautiously as there is uncertainty in many of the model inputs and hence also in the model outputs. The endpoint comparisons showed that varying the input parameters within intervals reflecting our uncertainty in their true values could change the output population size greatly. This was most noticeable for the broad-scale survival parameter, which had the most impact. The results also showed that there might only be a small interval between viability and extinction when broad-scale survival is varied. Management could help keep broad-scale survival at a high level by controlling cat predation. It was also found that the carrying capacity of the high quality habitat (i.e. the high K_density parameter) could have a large impact on population size. By conserving large hollow bearing trees and by installing nest boxes, the carrying capacity could be kept high. Maintaining an understorey in the habitat would also be beneficial as this would support supplement the Squirrel Glider’s diet. This could increase the carrying capacity, survival rate and possibly even birth rate of the Squirrel Glider. help keep the population size high. This was seen in the landscape alterations section. Furthermore, it was observed that creating joins in the vegetation could help offset the negative impact of the Hume FWY. The population adjacent to the Hume FWY could be acting as a population sink and draining animals from the study area. We confirmed this when we isolated the Hume FWY with cuts in the landscape and this lifted the density in the central portion of the region of interest. However, we assumed the existence of low survival rates adjacent to the Hume FWY and that these rates were driving the sink effect. At this stage the research supporting these rates needs to be clarified (McCall et al. in review) and therefore we cannot be certain whether the sink effect exists or not. Thus whilst using cuts could also be used to help mitigate a possible sink effect, to avoid unnecessarily fragmenting the landscape, it might be more appropriate to prioritise efforts towards maintaining connections in the habitat, especially in areas away from the highway initially, as this would be beneficial either way. surrounding the model’s inputs, structure and assumptions. For example, whilst our model suggests that the population might be viable if broad-scale survival is 0.7 (i.e. in the best estimate scenario), this should only be used as a rough guide. Modelling should work hand in hand with monitoring and field studies, which can be used to detect population decline. Furthermore, monitoring and field studies can improve an understanding of the system; new information from field data can help better inform management and can also feed back into future modelling efforts. (For a short discussion of monitoring see Appendix E.) In the Thurgoona and Albury Ranges study area, field studies could help establish what the survival rates are in different parts of the landscape. This would be useful to know, as we found in the localisation scenario that the population could possibly support regions of low survival as long as they are not too widespread. persist in the study area and that it is therefore viable. However, due to the uncertainty surrounding 52 our model inputs and hence outputs, this result should be treated with some caution. Monitoring and field studies could be used to detect population decline and to better understand the system. understorey, and creating and maintaining connections in the habitat. The Albury Conservation Company also invested in research of the Sloane’s Froglet (Crinia sloanei) by Alexandra Knight, a Phd student of Charles Sturt University. Sloane’s Froglet is listed as vulnerable in NSW, and is a small ground-dwelling frog found in the floodplains of the Murray-Darling Basin.The specific threats to the species are not well understood, but include degradation of habitat quality through clearing, overgrazing, changes in flooding regimes, predation, and climate change. Chytridiomycosis, an infectious disease caused by the amphibian chytrid fungus Batrachochytrium dendrobatidis, may also be a threat to Sloane’s Froglet. deficient by the IUCN (IUCN, 2013). by the author as part of her PhD research programme. Historical distribution records for Sloane’s Froglet were obtained from two main sources. Sloane’s Froglet is known to have occurred. Historical records showed that Sloane’s Froglet has been recorded from sites in NSW and Victoria, with the majority of records in the Darling Riverine Plains, NSW South Western Slopes, Riverina and Victorian Midlands bioregions. The number of records in the last 20 years has declined. 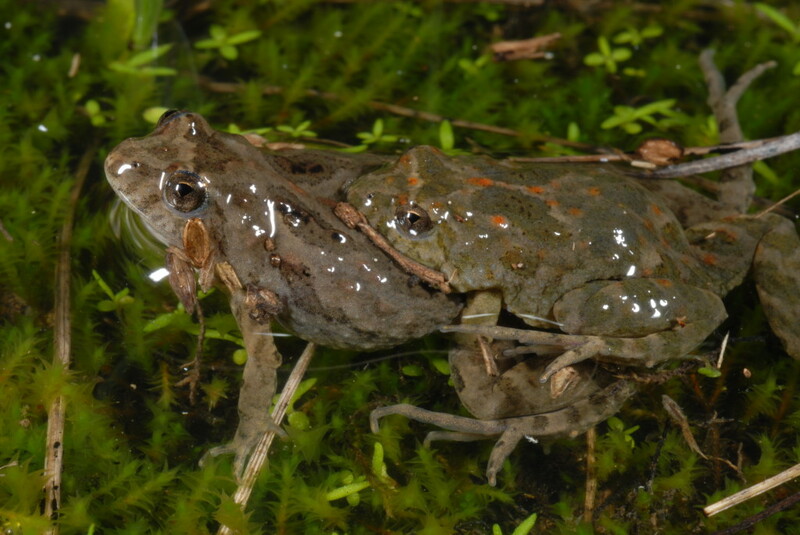 Froglet has been located in the Namoi catchment in northern NSW (Phil Sparks, pers. For this project distribution surveys were undertaken in the winters of 2010, 2011 and 2012.
finding the froglet was requested through popular media. extend the current known distribution of this species.